I couldn’t get this to work, but hopefully you all have better luck. Woohoo I got it ( 🙂 ) Click here to visit the Cutex facebook and like them. Then on the “Cutex Deals” tab, you should be able to fill out a form to request your freebie. 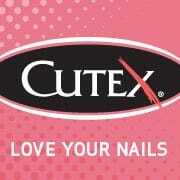 have used cutex when it was the old formula sant wait to see how its changed. try it again, it worked for me! PADS ARE SO HANDY.LOVE THEM.